Nana Tana - Listen to Samples! Our precious Grandaughter Tayla at age 2!! Reciting her Adorable and Amazing rendition of the 23rd Psalm! Just one of 26 different WONDERFUL tracks! Papa Brad & NanaTana Included! ADORABLE Tayla again! On her AMAZING & Inspired "Tayla age 2" variety C.D! Bantering with her Papa Brad she performs Christian Jokes that TICKLE and UPLIFT the entire family... As well as people of ALL ages, and all walks of LIFE! Nana Tanas' LOVELY daughter Sheriee SINGS like an Angel and brings you the gift of GODS' SPLENDOR... As she expresses her hearts' Testimony of the GREATEST Storey ever told! Just one of 12 Melodic Masterpieces that can bring you into the Wonderland of HIS Presence... ALL year long! From her MAGICAL Christmas Variety Album... NanaTana Sings for YOU one of her favorites ... that can be ENJOYED all throughout the Year! As she pours out her heart in a PRAYER for the Forgotten & the Lost... Reminding us that we are ALL GODS' Children! ENJOY the SOOTHING Sounds of one of the most BLESSED and COMFORTING Baritone Voices of all times... As Papa Brad brings TO your Heart your FATHERS' LOVE... Straight from HIS HEART in HEAVEN! 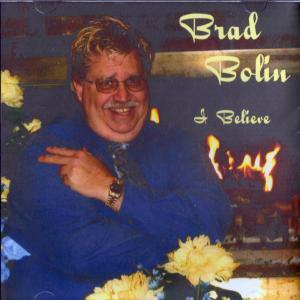 AGAIN... listen as Papa Brad melts your HEART into PEACEFUL and Worshipful DELIGHT! 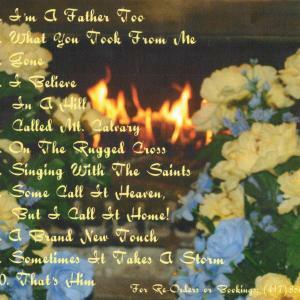 ... With the very Special GIFT that GOD has given him... Just one of ten Awe INSPIRING Songs of the HEART on his WONDERFUL "I BELIEVE" Gospel C.D! 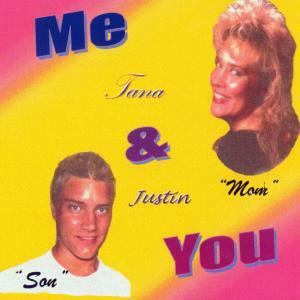 Nana Tana and her son JUSTIN harmonize beyond BEAUTIFULLY in this Inspiring Song about FAITH and LOVE... From their Special "ME & YOU" Variety C.D.... Just one of 12 FAVORITES... Recorded for and Performed in Branson's HARD LUCK DINER! Let your Spirit SOAR to higher heights... As NanaTana moves you into Joyous DELIGHT! TESTIFYING in SONG of GODS' Power of MUSIC... In one of the most Beautiful Songs of all Time... this Classic Roger's & Hammerstein's Masterpiece! 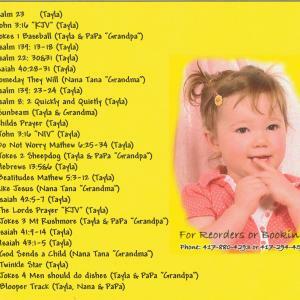 Also from her latest CD~ "IN THE NAME OF THE LORD"~ Nana Tana Sings one of her all time favorite classics~ "My Father's Eyes"~ ... It has always been her Desire that in everyday life~ as well as when people see her Perform and Sing~ that they do not see her only~ but also and especially The Father and Jesus through her. 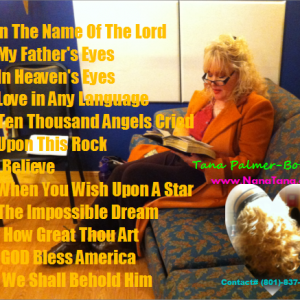 One of the Warmest Blessings is when Nana Tana Sings our Cherished and Beloved National Anthem~ GOD BLESS AMERICA! ... 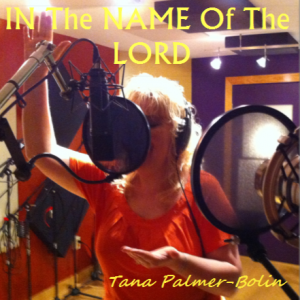 Recorded on her latest CD "IN THE NAME OF THE LORD" It is one of Her MOST REQUESTED... A true American Classic Tradition~ from GOD'S HEART~ to her HEART~ to YOURS!